GSHCC’s 2014 Girl Scout Cookie Program is off to a great start… and it just got sweeter. We’re excited to announce two new incentives are being offered: one for #cookiebosses and the other for service units. 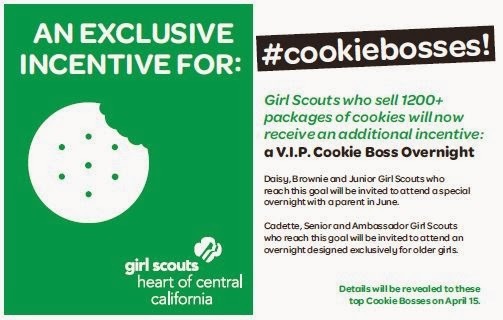 Exclusive incentive for cookie bosses: Girl Scouts who sell 1200+ packages of cookies will now receive a V.I.P. Cookie Boss Overnight! 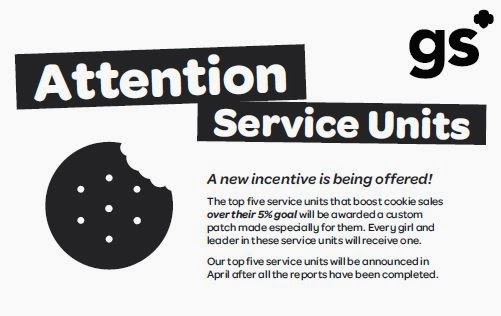 Sweet incentive for service units: The top five service units that boost cookie sales over their 5% goal will be awarded a custom patch made especially for them. Here’s to a great cookie season! What’s your cookie goal this year? Which recognitions are you most excited about? Previous Post National Girl Scout Cookie Weekend!